Leestone Caravan Park is the perfect base for exploring the Mournes area of outstanding Natural Beauty, and beyond. 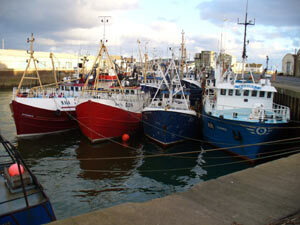 Home to Northern Ireland’s largest fleet of trawlers, this is a busy commercial fishing port. A private slipway is available for launching of small craft. We recommend a visit to the new Nautilus Centre. Featuring miles of sand and cliffs looking towards The Isle of Man. 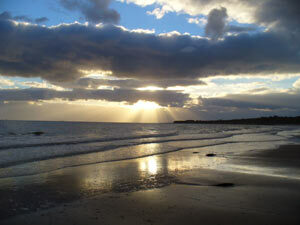 Dramatic sunsets are a speciality! The nearby sports centre and swimming pool are very popular. 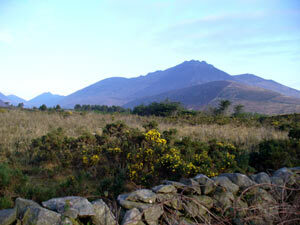 The Mourne Mountains are a haven for hill walkers and pony trekkers. Kilkeel Tourist Office 3 Newcastle Street Kilkeel 028 4176 2525 . At the junction of the Carginagh and Head Roads, the Silent valley offers panoramic views of the Mournes. 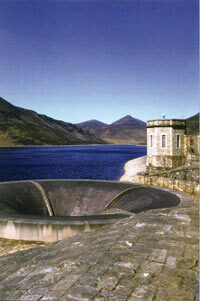 A bus can take visitors up to the Ben Crom Reservoir in the heart of the High Mournes. The enthusiastic or the amateur can walk and explore the gardens and forest. Visitor center, restaurant and souvenirs available. 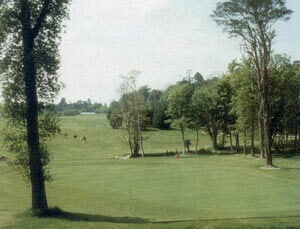 There is a wide choice of nearby 18 hole golf courses. Kilkeel Golf Club is in Mourne Park 3 miles from Kilkeel. Newcastle (13 Miles) hosts The Royal County Down Golf Club. Warrenpoint Golf Club is 12 miles away.